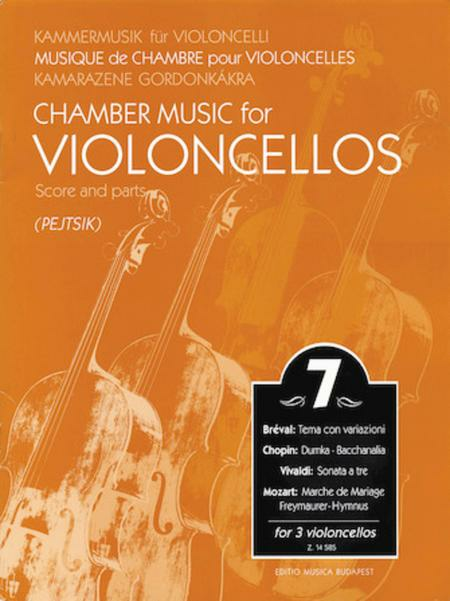 Chamber Music for Violoncellos Volume 7 contains trios, the first piece is a work with variations by the French cello virtuoso Breval, in which the first two parts, above an easy third part, are of equal difficulty. In Chopin's lyrical Dumka, an interesting feature is the ritornello on harmonics, his Bacchanalia is a lively drinking song. 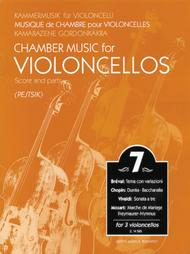 In the trio sonata by Vivaldi the third part shares equally in the imitative playing. The last works in the volume are Mozart's piece on a theme by Gretry and the closing chorus that follows his Freemasons'? cantata (the melody of the Austrian national antem).